FORT WALTON BEACH, Fla. -- A quick-thinking Florida sheriff's deputy used Facetime to track down a stolen cellphone. 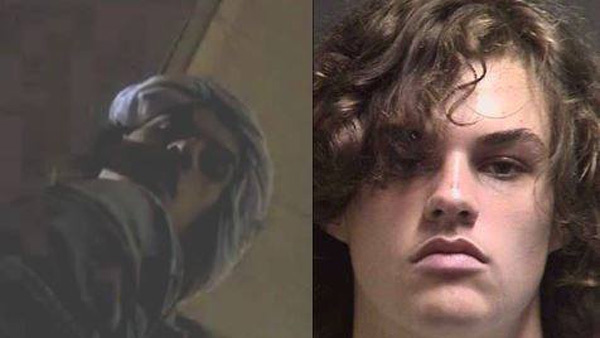 In a Facebook posting, Okaloosa County Sheriff's officials said 18-year-old Chandler Ridge Carlyle took the cellphone from an acquaintance during a party last month. The victim told deputies Carlyle asked to use his phone to call for a ride home, then left with it. The deputy sent a text message to the phone, but didn't get a response. He then made a Facetime call. When Carlyle answered the call, the deputy snapped a screenshot. He showed the victim, who identified the person in the photo as the one who took his phone. The deputy then compared the photo to Carlyle's driver's license. He was arrested May 21 and charged with grand theft. Court records don't list an attorney.